Modern Spanish painter Salvador Dalí drew a great deal of inspiration from Bosch's work, which had many of the features that acted as precursors to Dalí's own surrealism. 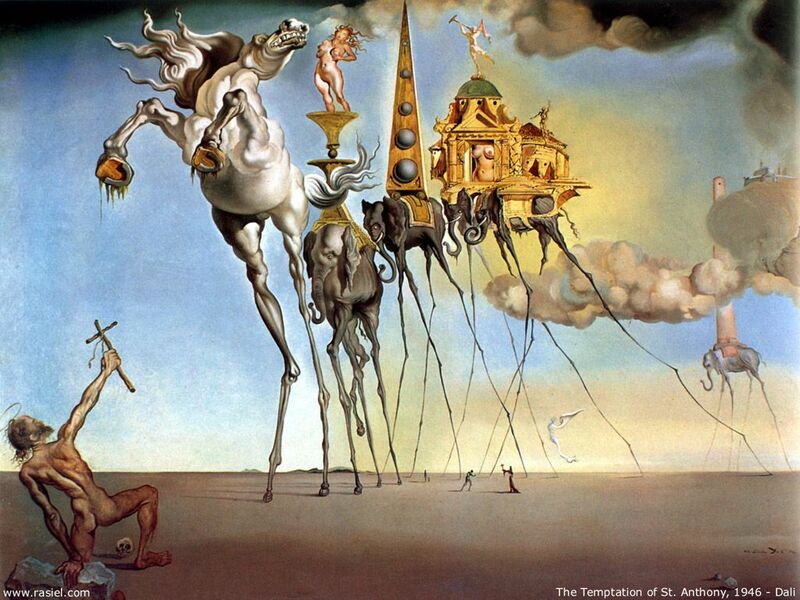 Dalí's version depicts St. Anthony resisting temptations associated with a spider-legged horse and elephants. The "space elephants," distorted offspring of Gian Lorenzo Bernini's elephant and obelisk, are a motif in Dalí's work. 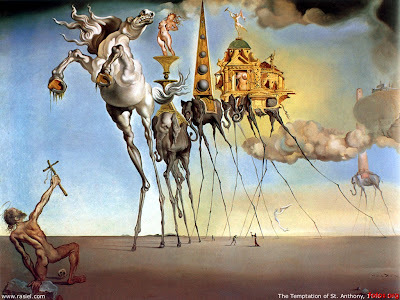 Modernist Art History: Dada and Surrealism: Klaire Chan talks on Salvador Dalí's The Temptation of St. Anthony, 1946.